I started another instagram hashtag #sweetlilacsmusings to force myself to dabble in other mediums. I am starting to feel anxious again. I am not good when I feel complacent. I just finished teaching art CLASS for the year and the kids and I finished so strong. 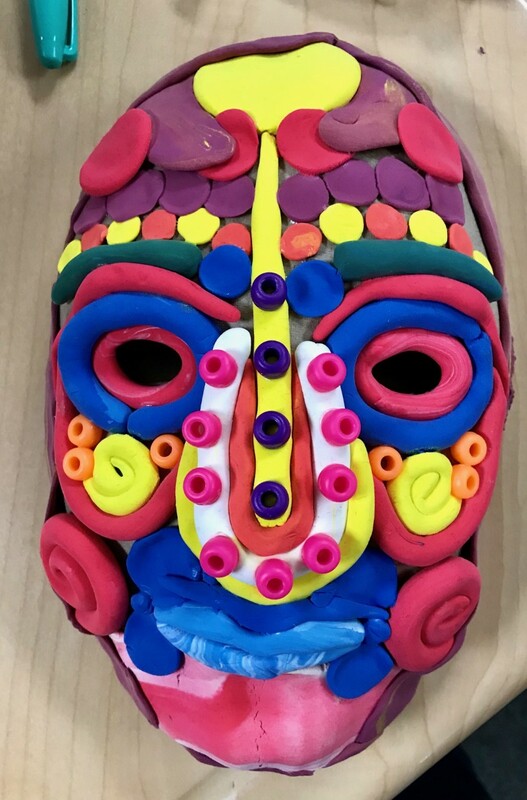 We did these gorgeous colorful masks out of model major clay. I could have taught this project all year. I discovered something about myself. I lost the joy in discovery. I got caught up in “the final result” and “completing the project” and “producing”. I thoroughly enjoyed watching the kids play with the clay. Some wanted to just roll them in their hands the entire class period. Some wanted to toss them around like rubber bouncy balls. Others wanted to mix the colored clay together and discover new color variations. I could have stayed in this moment of discovery all year long. Experimentation, discovery, learning, creativity, reflection and growth. I am so thankful I got to witness this moment. I realize that I need to get back to this place and play here for a while.